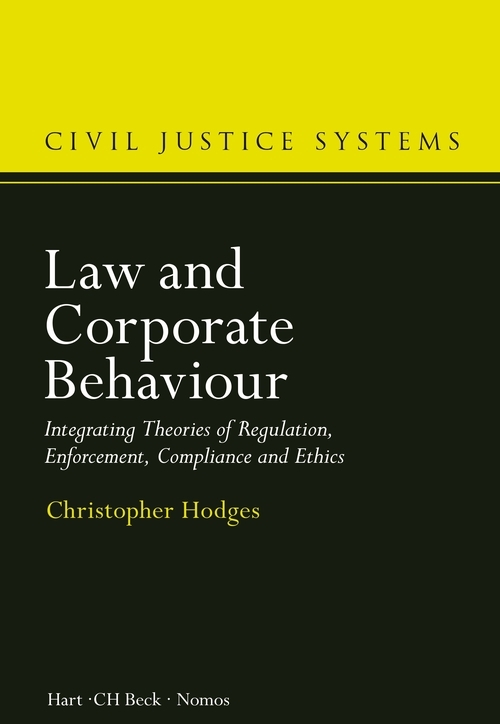 This book examines the theories and practice of how to control corporate behaviour through legal techniques. The principal theories examined are deterrence, economic rational acting, responsive regulation, and the findings of behavioural psychology. 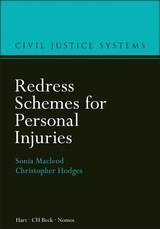 Leading examples of the various approaches are given in order to illustrate the models: private enforcement of law through litigation in the USA, public enforcement of competition law by the European Commission, and the recent reform of policies on public enforcement of regulatory law in the United Kingdom. 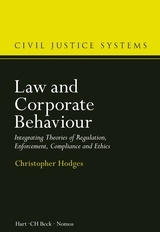 Noting that behavioural psychology has as yet had only limited application in legal and regulatory theory, the book then analyses various European regulatory structures where behavioural techniques can be seen or could be applied. Sectors examined include financial services, civil aviation, pharmaceuticals, and workplace health & safety. Key findings are that 'enforcement' has to focus on identifying the causes of non-compliance, so as to be able to support improved performance, rather than be based on fear motivating complete compliance. Systems in which reporting is essential for safety only function with a no-blame culture. 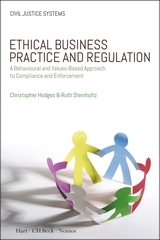 The book concludes by proposing an holistic model for maximising compliance within large organisations, combining public regulatory and criminal controls with internal corporate systems and external influences by stakeholders, held together by a unified core of ethical principles. 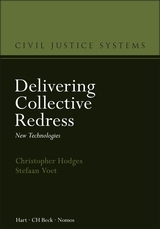 Hence, the book proposes a new theory of ethical regulation.